Thousands of questions to test your 90s knowledge. 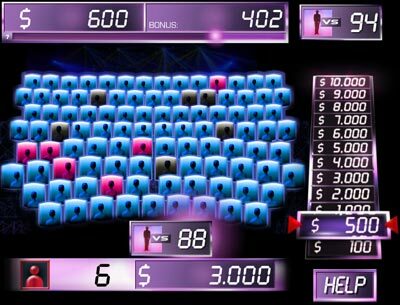 Single player or 2-4 player mode. 6 categories and 3,000 trivia questions! 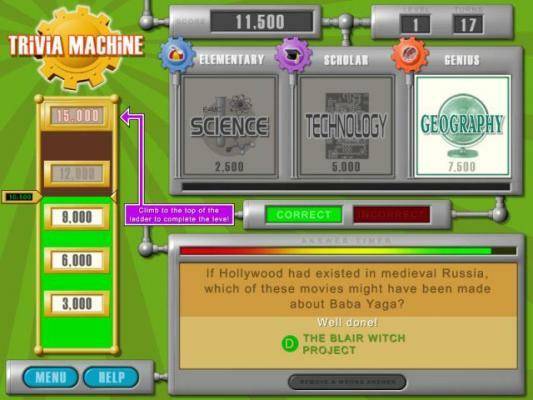 Test your film trivia knowledge in 6 categories, with over 4,000 questions and hours of fun! Beat the computer, or go head-to- head with a friend or an entire family! 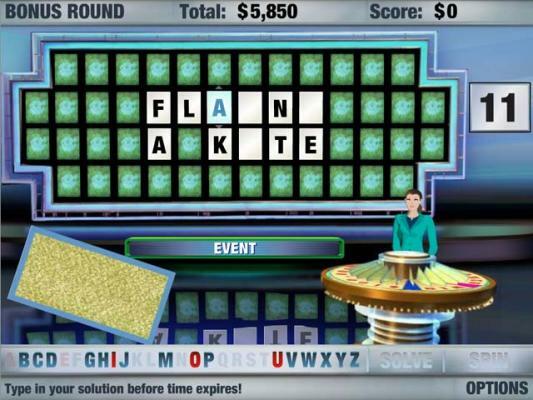 Spin the wheel, just like the TV Show, buy a vowel, and proudly solve the phrase! America's Favorite Quiz Show has a Rockin' new twist! 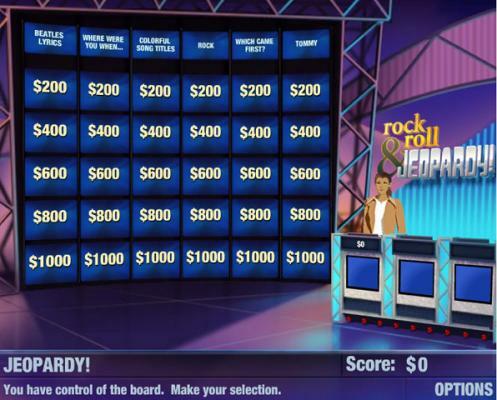 Get ready to test your music skills with Rock & Roll JEOPARDY! 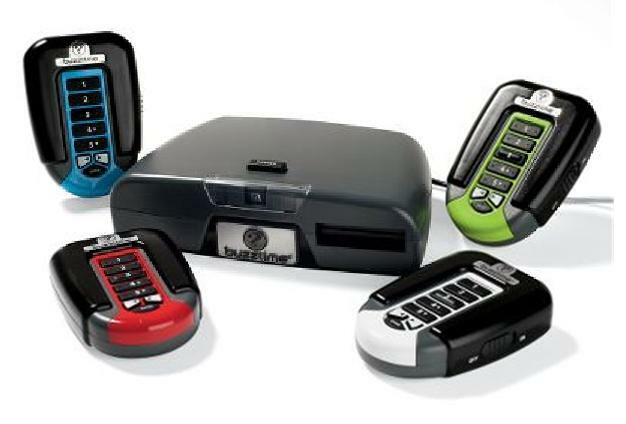 The fun electronic way to play trivia games. 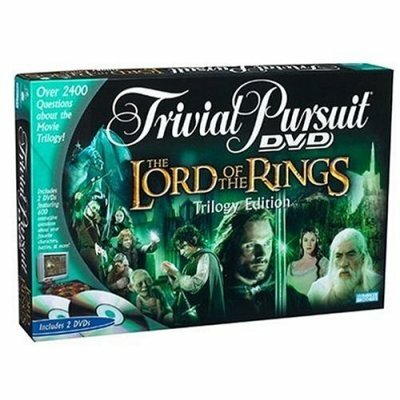 It brings more interactive action to a family game compare to simple Trivial Pursuit board games. Play with up to 8 players together. Over 1200 Bible related questions! 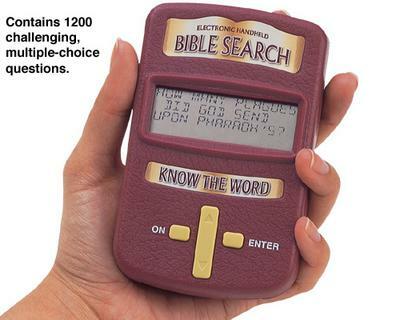 Have hours of fun challenging yourself, family and friends and, at the same time, become a Bible expert! The 80s Game with your host Martha Quinn is a fun trivia trip back to the 80s. Over 3000 questions! Try answering all questions related to LOTR. 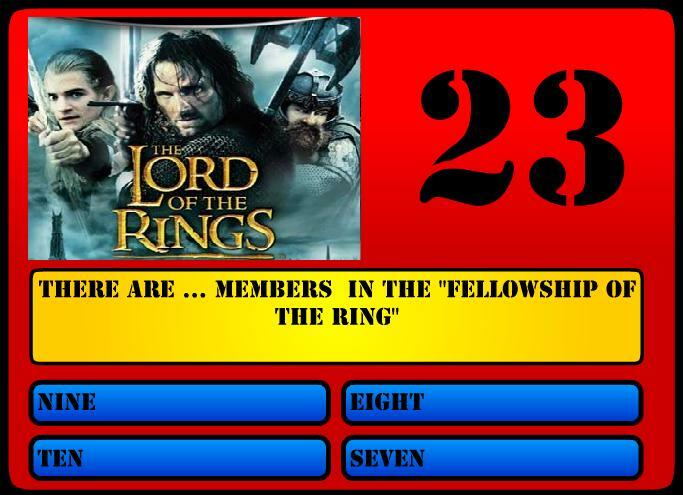 How much do you know about Aragorn, Bilbo, Frodo and the Fellowships of the Rings? This Trivial Pursuit 20 th Edition will challenge you to remember people, places and events that have made up the last 20 years. 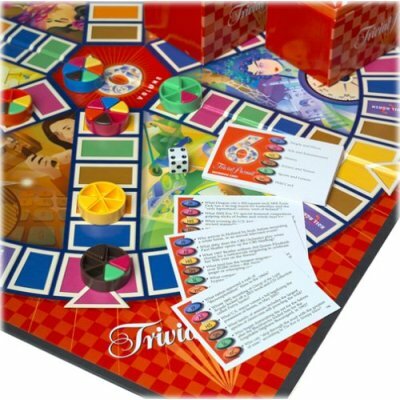 Play Trivial Pursuit games with 4800 general knowledge questions in 6 categories: People/Places, Arts/Entertainment, History, Science/Nature, Sports/Leisure and Wild Card. 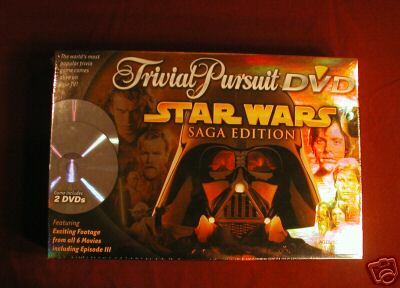 View the recent board game releases of Trivial Pursuit and other available special editions such as Star Wars, Disney, 20th Aniversary Edition and a lot more. 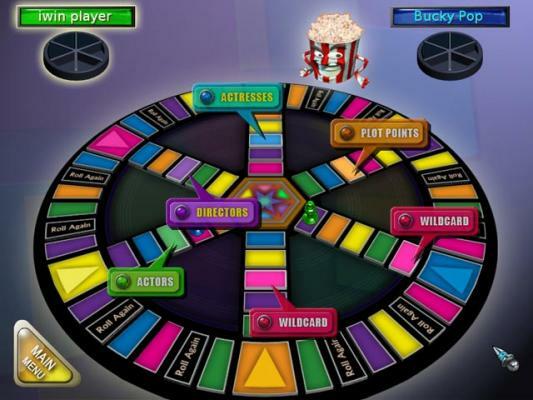 The World's Most Popular Trivia Game With a Twist! Unhinged is an all-out competitive trivia party with attitude: betting, bonus points, special moves, opponent stomping, board tricks and more! 1 vs 100 puts you in the hotseat as you play 100 mob members! Answer the questions correctly and eliminate the mob members. If you give the wrong answer, the game is over! 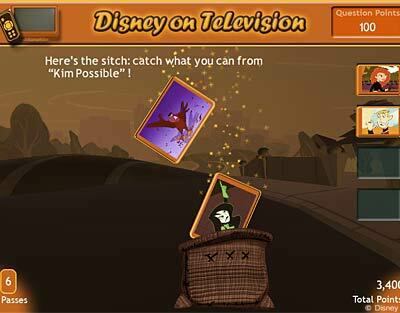 Become a Disney trivia master by conquering over 1,000 questions in four categories: Animated Features, Live Action Films, Disney Amusement Parks and Resorts, and Disney on Television. Interactive Planetarium Educational electronic planetarium with light-up planets. Outburst Game of verbal explosions! 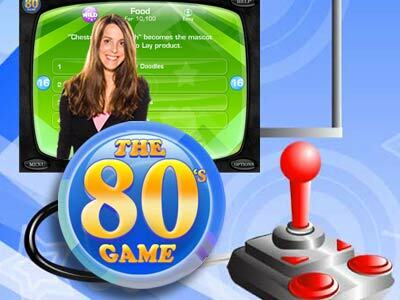 » The 80s Game 80s Trivia game to download with Martha Quinn as your host, and 3000 questions! 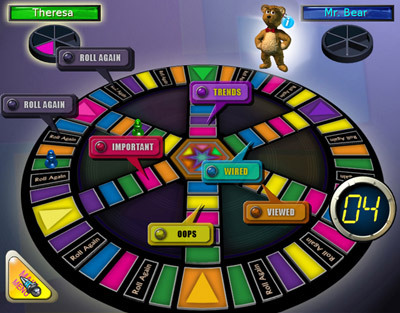 » Trivial Pursuit 90s Edition Trivial Pursuit Online free game trivia 90's questions. » The 80s Game AAnswer online a variety of questions about the 80s. 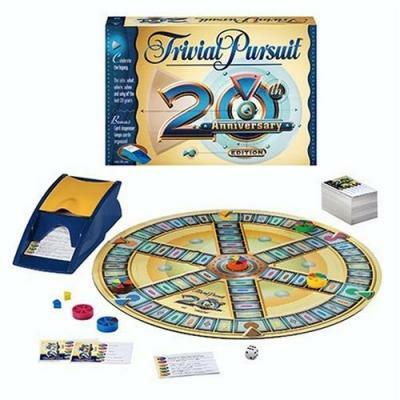 » Trivial Pursuit 20th Edition Play Trivial Pursuit online for free 20th Edition Challenge.